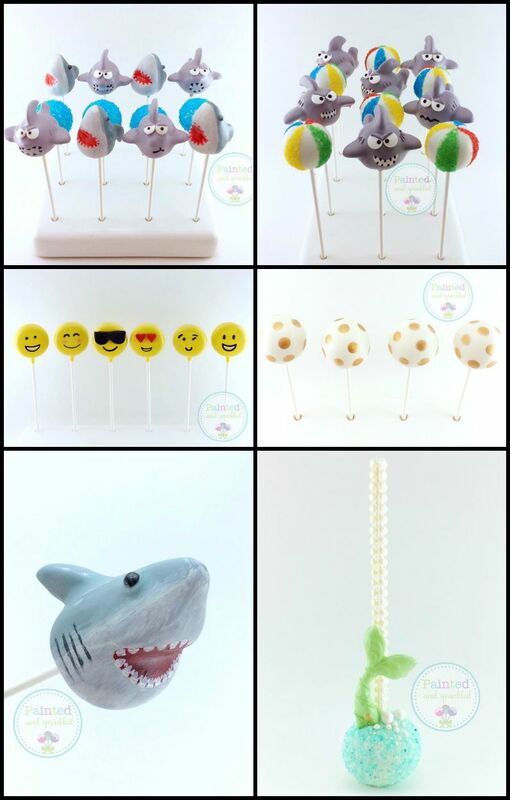 Your pool party needs these fun cake pops. 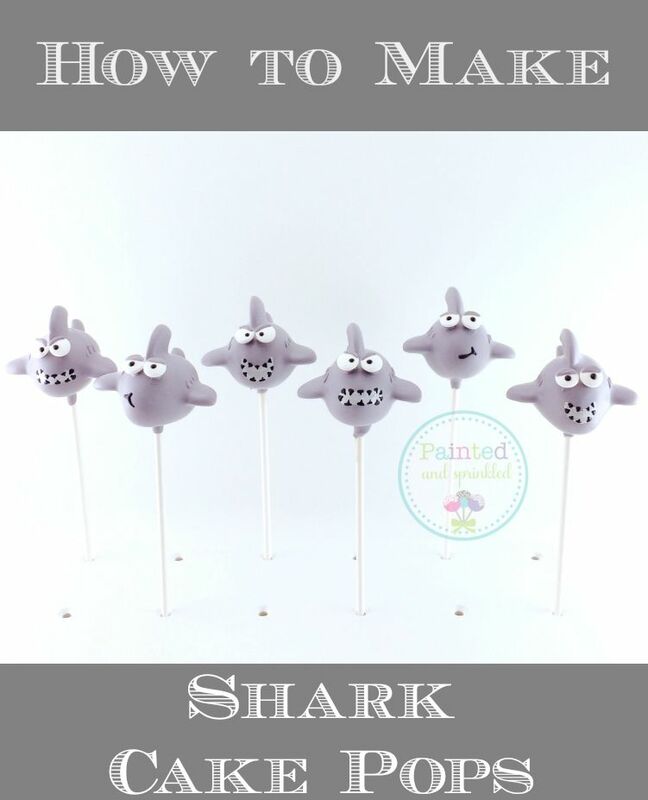 Learn how to make Shark Cake Pops at home for your family and friends. They’ll make a splash at your party! This week Brandi from Painted and Sprinkled is back to show us how to make Shark Cake Pops. . 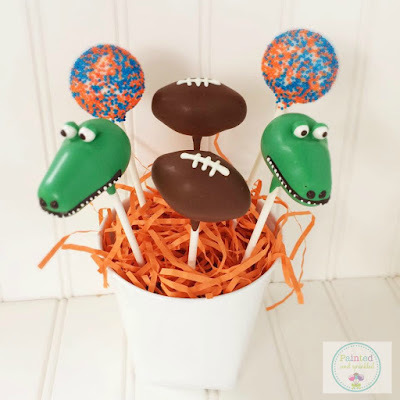 This easy tutorial will get you through making them so your cake pops will be a hit at the next birthday party or pool party. 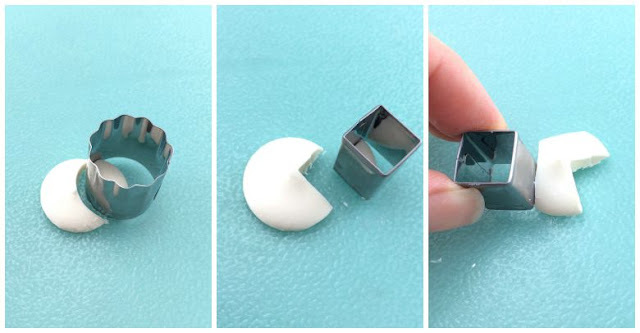 Take a candy melt and a square cutter and cut out the piece pictured, then cut the other side to form the fin. 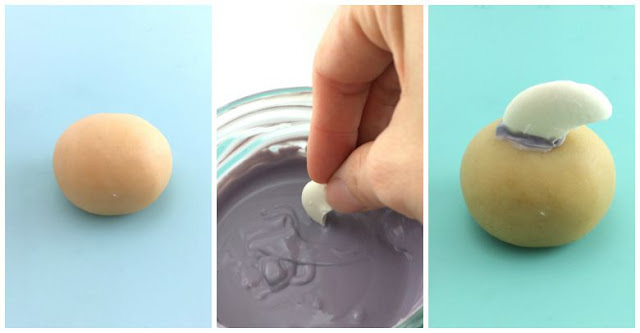 Shape your cake ball into a slightly oval shape. Dip the candy melt fin into the chocolate and insert it on the top of the ball. Do the same with the other melts for the top fin and side fins. Insert your cake pop stick gently. Dip the pop into your melted chocolate. While still wet, insert Wilton google eyes backwards into the pop. You can put them frontwards, but I like to add my own eyeball to them. 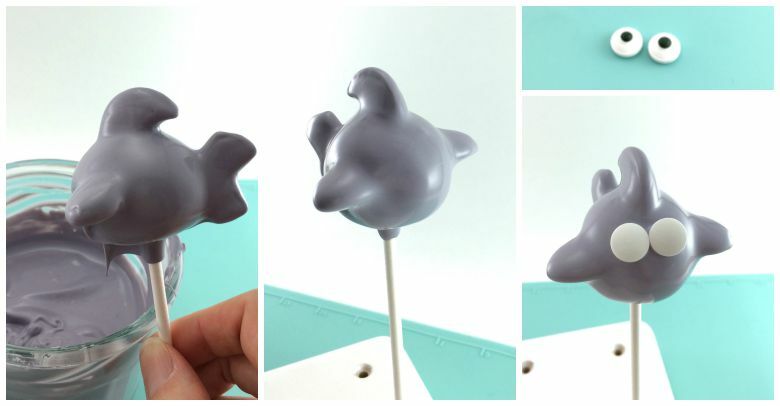 Plus, the pointy eyeball that comes on it is great for sticking it into the pop to hold! Use some melted gray chocolate on a toothpick and form the eyelids. Angle them for a meaner look. Use melted black on a toothpick and place your eyeballs. 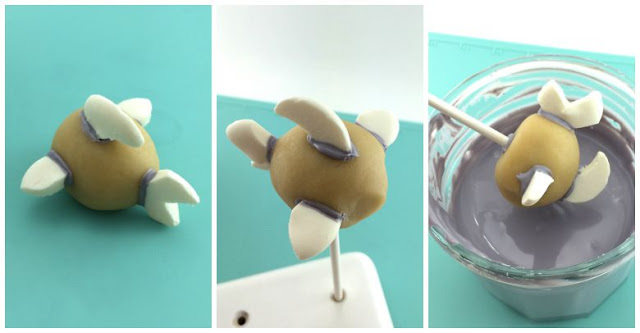 Use melted gray on a toothpick to form the gills. Poppy Paint time! This is an amazing new product out there! Put a couple of drops in a pallet and using a small paintbrush, shape the mouths. You may need two coats. *If paint dries in pallet, add a tiny bit of lemon extract to hydrate it. Lemon extract is also the ONLY way to clean your brush. Use melted black on a tooth pick to add the teeth. 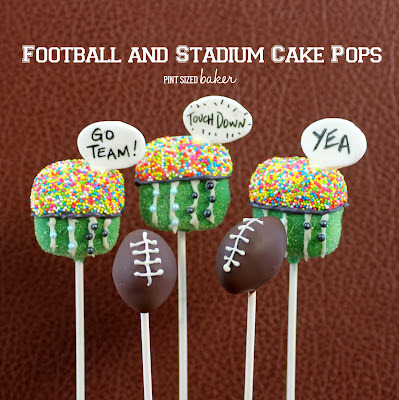 Where your cake pops are “painted” with chocolate and “sprinkled” with sweet style.